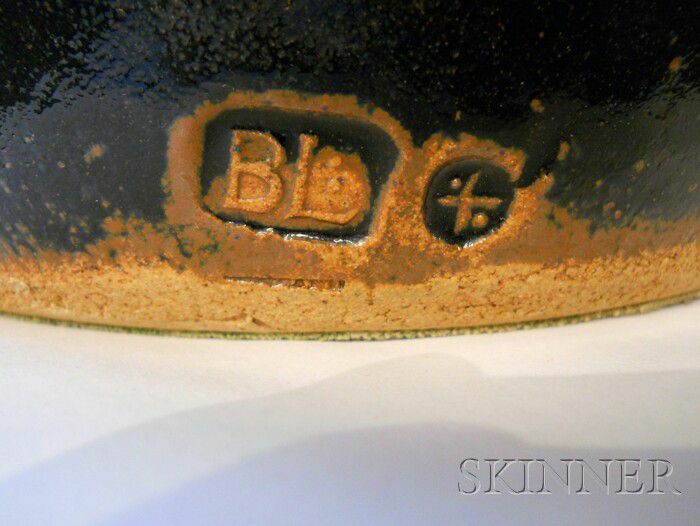 Lid with handle on bulbous body with incised crosshatching on front, tenmoku glaze, marked BL and with St. Ives pottery mark, some losses, approx. ht. 10 3/4 in. 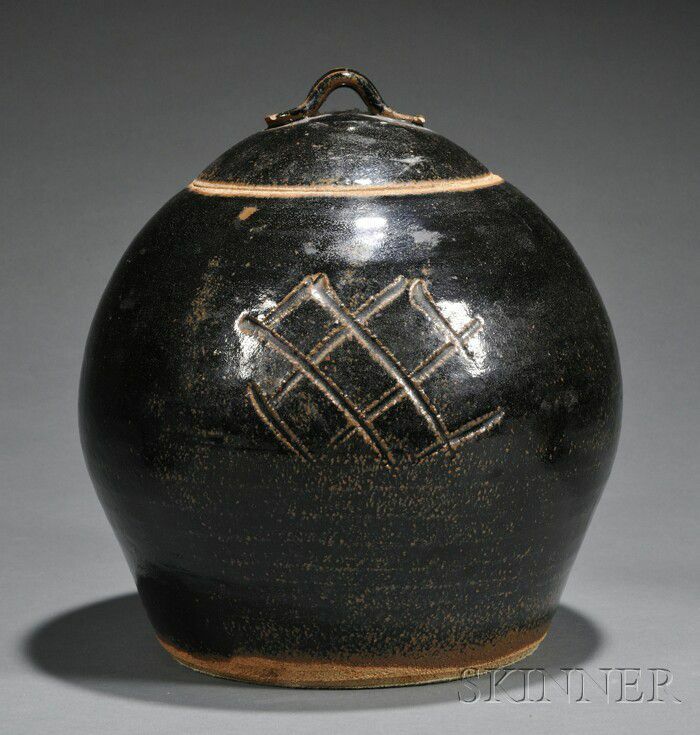 Note: Bernard Leach (1887-1979) was born in Hong Kong and spent over a third of his life living in the East, initially due to his father's posting. 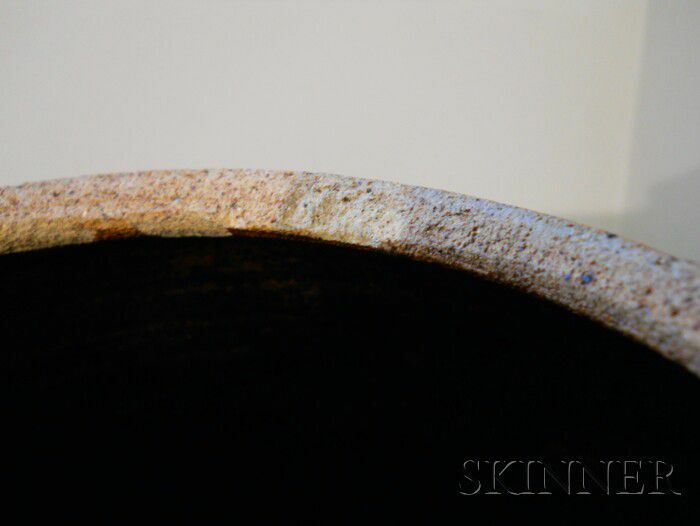 In 1920 he opened the St. Ives Pottery with Shoji Hamada and built a three-chamber kiln. 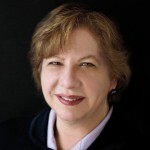 Leach was a teacher and influenced many young potters. 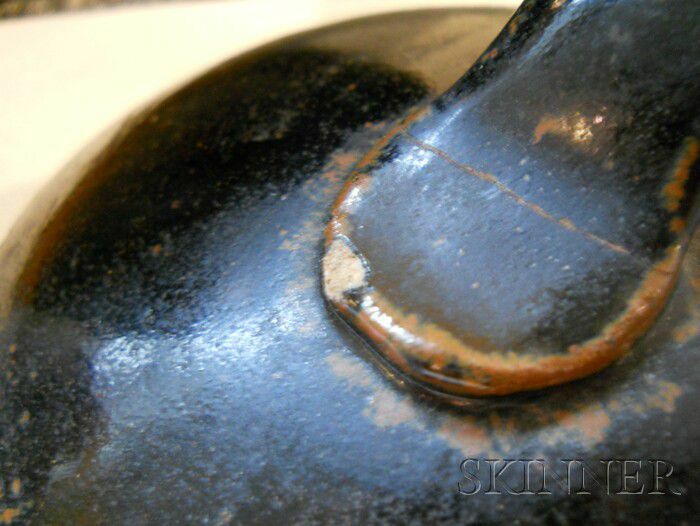 He wrote The Potters Book in 1940, a classic on the subject, he is considered the father of the British Studio Pottery movement bringing his vision and his knowledge from the East to decades of potters. 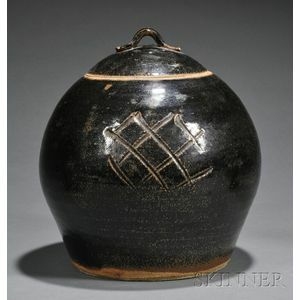 His influence on the Studio movement has been felt worldwide, and his pots can be found in major collections and museums. 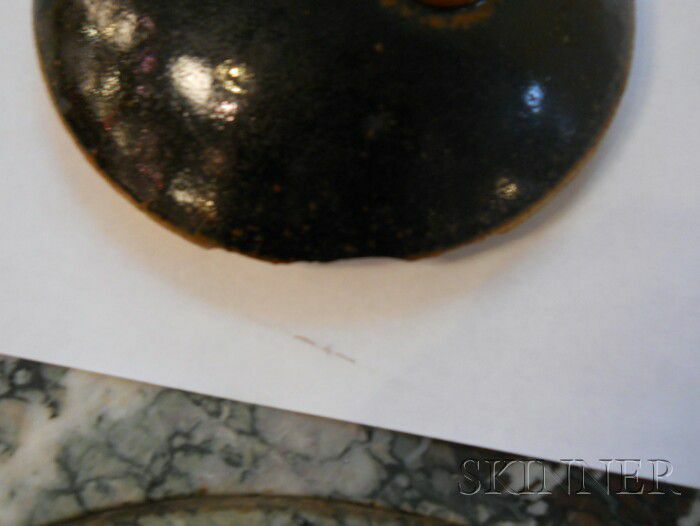 Chips to edge and underside of rim cover, handle, and vessel&apos;s interior rim.